When you buy a new pair of shin guards, you’re often stuck with the lackluster fit that the pre-molded plastic provides. You no longer have to settle for that pre-determined fit since Cobra Shinguards have created re-moldable shin guards that provide a truly custom, comfortable fit, tailored specifically to your leg shape. In addition to being re-moldable year after year, they also remain stink free due to their closed-cell foam and come with a free pair of Cobra shin guard sleeves that keep your guards sandwiched in place at all times. They’re available for just $29 USD per pair here. Moldable: Cobra Shin Guards fit perfectly on your shin since they’re able to be molded specifically to your shins. The custom molding technique ensures a tight fit around your leg and eliminates bulky looking shin guards. They provide you with a light, comfortable, custom fit, are made of durable, high-impact material, and are re-moldable, so they grow with you as the shape of your legs change. No more tape or straps: Cobra shin guard sleeves come with every pair of shin guards, keep your shin guards in place, and allow proper blood circulation for your legs so they can function without fatigue throughout the entire game. They perfectly cover the size of the shin guards and keep them steady in place while offering a comfortable fit. Stink Free: Cobra Shin Guards are made of a closed-cell foam used for odor control while still providing cushioned comfort. Cobra Shin Guards are available in sizes small, medium, and large for $29 USD per pair here. When I first learned about the ability to custom mold your own shin guards, I was very excited to try it out and discover if it was actually effective. Now, having molded them and worn them, I’m even more impressed than the mere thought of being able to do such a thing. To create the perfect, custom, molded fit, you simply place the guards (plastic face down) in a large pot/pan with one inch of almost boiling water in it. Wait one minute or until they’re soft and pliable before taking them out; in the mean time, put the Cobra sleeve on with the top of the sleeve just below the knee. The center seam should be positioned above your ankle where you want the bottom of your shin guard to be. Using a spatula, lift the shin guards out of the water and place them on a dry towel, gently wiping off any excess water. Immediately place the shinguard on your leg where you would like them molded. With the guard still warm and pliable, pull the lower half of the sleeve up over the guard. The guard should now be sandwiched between one layer of the sleeve underneath and another layer folded over the top. Use your hands to form the guard to the contour of your leg; the guards will mold to the exact contour of your legs, so remain standing while the guards cool off and harden. Leave the guards on for a total of 5 to 10 minutes. Once I completed the quick and simple molding process, I noticed how well the guards fit the shape of my legs. For years, I’ve been stuck wearing $20-$30 plastic Nike shin guards that always slid around, no matter how much I taped them; I’m beyond glad that, coupled with the double layer Cobra shin guard sleeves, these guards stay perfectly in place. The guards feel very comfortable and lightweight on my legs while playing; I hardly even notice I’m wearing them. The double layer Cobra shin guard sleeves are hourglass-shaped; you turn them inside out, pull them on your legs, pull the ‘top half’ up over the ‘bottom half’, and then slide the shin guards in. I found that this type of sleeve does an incredible job of keeping the guards in place at all times, much better than the subpar job Nike’s shin guard sleeves do. When playing soccer under the hot, sweaty sun in the summer, it’s very common to come home drenched in sweat, and have all of your gear, including your shin guards, smelling stinky. 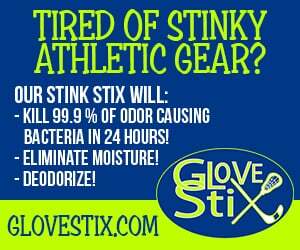 I am glad that shin guard stench is now one less thing to worry about since these guards are stink free due to the odor control closed-cell foam. For just $29 USD per pair, a comparable price to plastic Nike and adidas shin guards that you cannot custom mold to the shape of your legs, these Cobra shin guards are an incredible bargain and will be the only pair of shin guards you’ll ever need, since they’re re-moldable year after year. For more information or if you’re interested in purchasing, click here and check them out on Facebook, Instagram, and Twitter.